Book review: A plot that twists and turns, a dramatic beginning, a likeable detective in Roy Grace and a cleverly-drawn setting. Brighton is full of potential for a crime writer looking for a setting and it is clear Peter James knows and loves the Sussex seaside city. This is a page-turner with clever ideas and a couple of twists I didn’t see coming. The story opens with a stag night which does not go to plan, a missing groom, a car crash, an absent best man and a frantic bride. As the horrible realities of the situation become clear, with no witnesses and no clues, the police struggle to find the missing groom before the wedding on Saturday. But a few things do not ring true and that, coupled with Detective Superintendent Roy Grace’s controversial use of a medium, bring fresh, if confusing, clues. 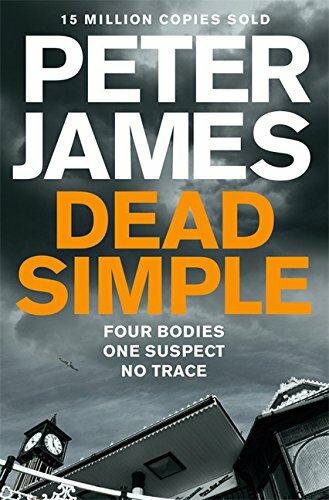 Peter James has created an authentic police community which feels real from page one, this is not the first in a series where the first novel is about setting the scene and the context. James hits the ground running with a believable detective. Roy Grace is a maverick, and I like him. James spends a day a week with the Sussex Police Force and this experience is evident on every page without shouting ‘research’. I’ve found a new favourite crime writer.